Andrés José Hernández Lossada was selected in Legal Week’s Private Client Global Elite: ‘Ones to Watch’ 2018. Legal Week surveyed over 6,000 lawyers, which resulted in over 250 Elites and 125 Ones to Watch. Launched in 2017, the Private Client Global Elite serves as a highly respected global directory of the world’s top private client and trust disputes talent, as well as rising stars within the industry. To view the full list of Ones to Watch 2018, click here. 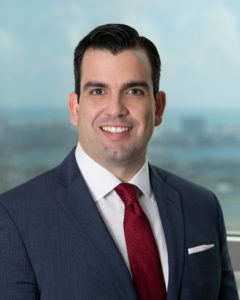 Andrés José Hernández Lossada is an attorney in the Miami office of Shutts & Bowen, where he is a member of the Tax and International Law Practice Group. Andrés focuses on international taxation, cross-border wealth, estate planning, M&A and general corporate matters.